A quick search on YouTube can reveal thousands of videos on Knife defence and several with millions of views. It is without a doubt that defending our lives from knife attacks fascinates us. And with good reason, a knife is a truly terrifying weapon. It is available ion any home and can be purchased easily from a supermarket or online. And yes just a few inches of the blade penetrating the body can cause a fatal injury. 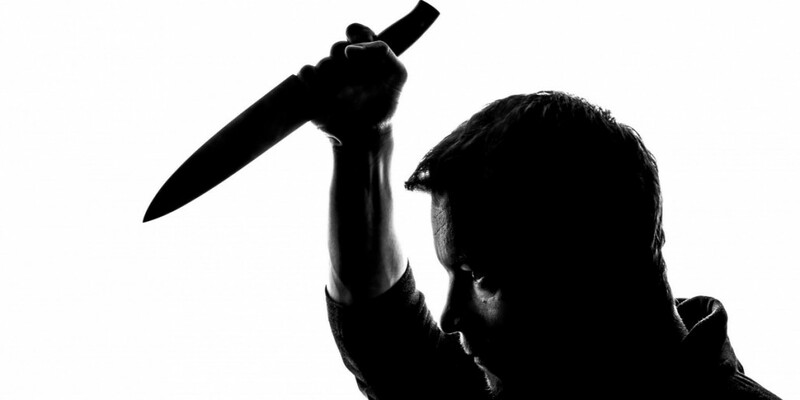 So with this in mind, this article will reveal to you the worlds most incredible self- defence technique against a knife. This really is the best technique you have ever seen. There are a lot of experts out there on the internet, so I need to state my credentials first before I teach this technique. This is important because without this context I could be anyone off the street. I am an ex-police officer with 17 years service, Defence Lab student, Judo black belt and have experience in many different martial arts. In addition, I have been confronted by attackers with all sorts of edged weapons including knives. So you could say I am experienced. So let’s now move onto the number one technique for Knife defence. Yes, in all my year’s experience I can categorically say that being able to run away as fast as you can is still the number one self-defence technique against a knife. And it works due to one super important reason; it gives you distance from the attacker. In criminology, there is something called the problem analysis triangle or PAT for short. It basically says that for a crime to take place there needs to be 3 aspects. If you remove any of these factors, then the crime cannot take place. By running away you actually take all 3 of these factors away, you (the victim) are not at the location with the offender. It is common sense so first and foremost always look to try and run away. So why do people tech knife defence at all if you can run away? And that is what we will look at next. Why Bother Learning Knife Defence If You Can Run Away? No, I mean really fast, as your life depended on it? And how long can you run for at that speed? 100 Metres, 20? 50? And this is where we get down the reason running is not always possible or practical. You cannot outrun the offender. This is far more common than you think, after all, how often do you actually train to sprint? And even if you did there is no guarantee you can outrun them; they might just be faster than you. But there might be another reason you can’t run away; you have people to protect. You might be a security officer, a teacher, a parent or anyone that has a duty to protect those in your care, or you might be amongst others that cannot move quickly. In these circumstances, you might not be able to escape. And it is down to this factor that learning knife defence from highly trained specialists is key to being thoroughly prepared for self-defence situations. This is where Defence Lab comes in, our founder Andy Norman is one of the worlds most respected experts with regards to the handling of knives, using them and defending against a knife attack. It is this knowledge that he has distilled into the Defence Lab syllabus for you to learn. Because as we have stated, while running away is still the most practical and successful thing you can do, there may be situations where you can’t run away. And for those situations, the Defence Lab syllabus represents the best way for you to deal with an attacker armed with a knife. With venues across the globe and online training available, Defence Lab is one of the most easily accessible training solutions for those who want to protect themselves and their loved ones. So, make sure you check out our training locations or join our online course to discover practical techniques you can use.